My daughter, Indi, loves fairies. Apart from the dummy fairy, who is trying to wean Indi off her bedtime dummy 😉 In light of the fairy obsession, we were sent this lovely Fairy Kitchen Garden by Interplay to review. It’s a really nice way to spend some time teaching your kids how to grow food. 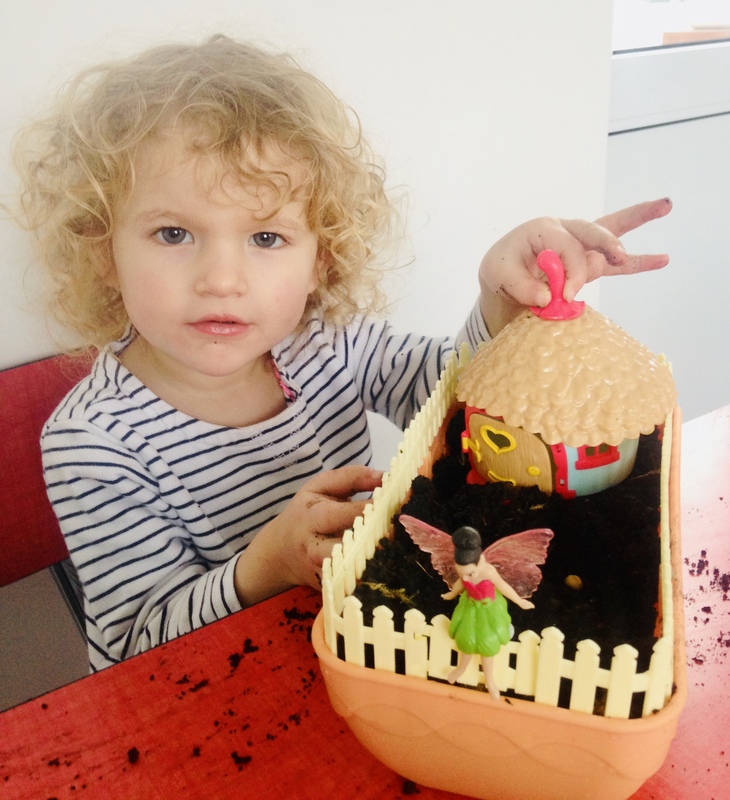 Fairy Fenn, as she’s called, overlooks the fairy garden as you construct her fairy house. You sow pea shoots that you can go on to eat in salads, sandwiches or even on pizza! It’s advised to clear a space somewhere you don’t want soil coming into contact with. Perhaps the kitchen table or in the garden on a warm day. Beforehand, you need to get some soil, as it doesn’t come with the pack. To start, you simply follow the instructions to sow the pea shoot seeds correctly (it’s not hard). Once constructed and pea shoots planted, you will need to choose a sunny spot on a windowsill to ensure there is enough light for the seeds to grow, and you need to remember to water it regularly! Something I always forget to do. I’m a house plant killer, even if I try my hardest! It’s a lovely way to engage children after they’ve had the initial fun of sowing the seeds and building the fairy house. It’s also really great to give them the responsibility of watering the seeds so they grow. Indi particularly liked just looking at the fairy kitchen garden, and she loved visiting it on the windowsill at breakfast to see if the pea shoots had come through the soil yet. I’m becoming increasingly concerned about the amount of plastic it takes to make single use toys, so the fact we can re-plant this when we’ve gobbled all the pea shoots up is great. It looks cute on the windowsill and Indi is really proud of it, so it’s a yes from us. It’s a lovely gift to give someone, as it is a gift that keeps on giving in terms of having to look after it.